The subject matter of this movie is very interesting to me. Not because I have ideas of one day raising children in the wilderness instead of ‘the real world,’ but because I’m curious about the events that could have resulted in such an unconventional decision. I really can’t see myself personally choosing such a life, for several reasons including the fact that bugs and I don’t get along as well as we out to. Kathryn Hahn and Frank Langella also star. A HISTORY OF VIOLENCE (2005): So Good! A small town, suddenly sprinkled with a few non local visitors can only mean trouble, and trouble does come. Especially for Tom Stall, a well regarded local coffee shop owner with a wife and two children. 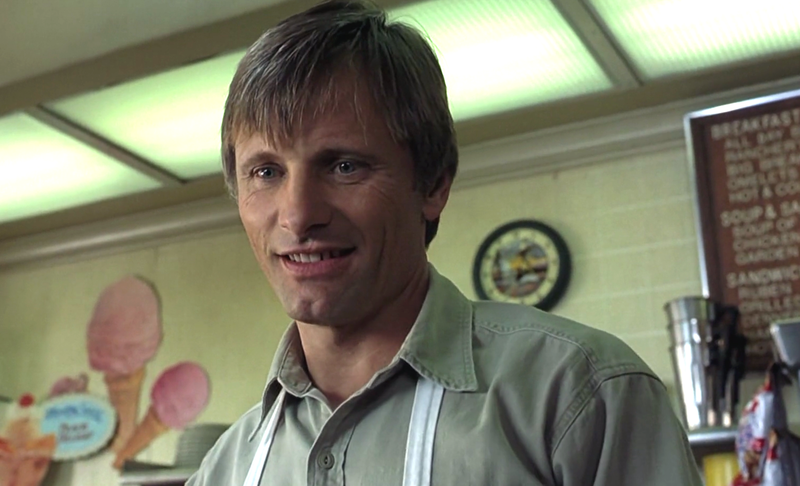 Directed by David Cronenberg and starring Viggo Mortensen, Maria Bello and Ed Harris, there’s much to love and little else left to be desired here. For those familiar with Cronenberg’s trademark visceral style, this drama/ crime/ thriller definitely has scenes and moments that remind you perfectly of who the director is. A well written story, that’s brilliantly delivered is the reason A History Of Violence (2005) is one of my favourite films of all time. What’s brought to mind each time I’m reminded of it, besides the fact that it entertained me like crazy? Push someone far enough and you’ll be awakened to the truth of who they really are. Chances are, however small, you won’t like what you find.